Even though the name Tape Printers of Australia has only been around since 2002, its manager and overseer Joe Schirripa has been involved in the tape printing business since 1982. 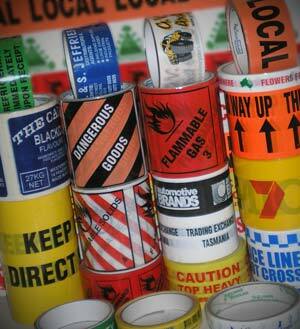 Way back then the printing of self-adhesive tapes was fairly new to Australia and Joe was employed by Venus Packaging. Joe and fellow worker, Frank, spent over 8 hours together producing just 72 rolls of ‘half decent’, 25mm printed “Fragile” tape. We have certainly come a long way since then. Today, the production requirement for those same 72 rolls would be just on 2 hours by one operator only. 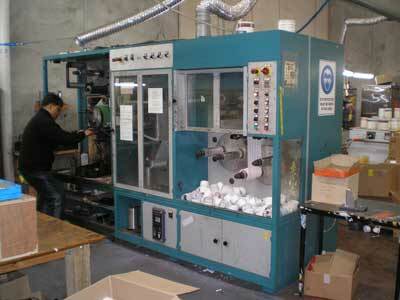 Tape Printers of Australia was originally the manufacturing unit of Rap-it Packaging Co. The current owners purchased the business when it was put on the market for sale by Public Tender in April 2002. The new owners knew that the key to ensuring the success of the business was to keep the original printing team together. Joe and the two printers were asked to join the new company, and by May 2002 Tape Printers of Australia was up and running out of premises in Cromwell Parade, West Footscray, Victoria. In December 2004 Tape Printers moved to it’s current premises at Laverton North as it had outgrown the original premises in just over 2 years of operations. Within 6 years of inception, Tape Printers has grown to employ a full time staff of 6 (which includes Joe and the original 2 printers), and is now one of the leaders in the tape printing industry in Australia. Tape Printers currently produces printed tapes, printed labels, and printed barrier films for customers in all parts of Australia and beyond. We are currently developing new products whilst at the same time improving the production techniques of our existing capabilities to ensure the highest possible quality of product at the lowest possible price.